The adidas revolution is no longer working an underdog storyline. A simple look through how brands are doing will show you that adidas can currently lay claim to being the top dog, and it’s now time for them to start dictating from the top instead of playing catch-up to the Swoosh. However, this is scary territory for the three stripes. Footy fans who have followed the game for the last few years will know that adidas was at the peak of the boot world, got a bit complacent, and watched themselves falter behind their American rivals. Can adidas use the creative surge of the revolution to help them stay on top this time? With each of their boots pushing the bounds of creativity, it’s certainly a difficult task to keep trying to make a boot seem innovative without losing what makes them each so successful. With the new X 17+, adidas has had to make a boot that improves on the already great 16+ shoes. After all, once growth stops, decay begins. Will adidas be able to take the X to new heights? 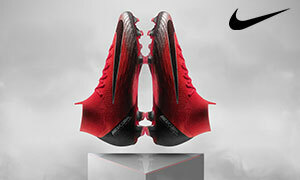 Or will the boot show signs of a revolution running out of steam? Let’s find out! The craziest aspect of the newest X is that the upper looks like it’s some type of mesh, but there isn’t a hole to be fine. It’s just a graphic on the upper, and we’re anxious to see if adidas stick with the dots on the upper throughout the life of the X 17. The grey launch colorway was a bit of an odd choice for a launch, but it seems like adidas wanted the Dust Storm pack to really showcase the Nemeziz. However, the grey and light blue blend nicely to form a colorway that any fan of understated looks will be more than happy to wear. However, adidas has followed that up with an absolutely stunning blackout version which would be a welcome addition to any boot fanatic’s arsenal. The X 17+ has a very unique silhouette, especially depending on how you tuck or tie the laces. If you didn’t know that there were laces on the boot, it would be very easy to think that it’s laceless. One of the best improvements on the look is that they’ve really worked to make the lace cover blend where it joins in the forefoot (which was one of my complaints on the previous version), and it looks like a boot that’s totally built for speed. The soleplate still carries a warning about the finish eventually wearing off after use, but it didn’t peel as much as we’ve experienced with previous adidas soleplates that carried that same warning. One thing is certain, there’s no way the X will stay this “calm” for much longer. The X 17+ sits in an interesting spot for our testing. We loved the 16+ and wanted adidas to provide us with some of the features we fell in love with, but we were also looking for more innovation from the German giants that would warrant a new name and silo update. It must certainly be a delicate balancing act between moving on from a successful boot and pushing forward into the future. The first thing to note about the way the PureSpeed plays on the ball is that it is nothing like previous “Speed” attempts from adidas. Where the F50 and others trimmed back the upper to offer a barefoot feel and no protection, the X 17+ has a thin layer of padding under the upper (while still maintaining that slimline look) that makes your time on the ball an absolute dream. It’s very similar to what we had (and fell in love with) on the X 16+, and the 17+ will be a joy for anyone that likes to have the ball at their feet. You get a uniform feel on any portion of the boot, and adidas has really done their homework to keep synthetic uppers from making your touch too sticky, feel too stiff, or feel like a cheap piece of plastic is between you and the ball. It’s always tough to add padding to a synthetic and not make players feel like their touch is dampened, but adidas found a good formula with the 16+, and it seems that they stuck to i. Whether driving a shot with the top of your foot, receiving a pass on the instep, or making intricate touches with your forefoot, the boot responds beautifully. The satisfaction that comes from that warm pressure you feel when striking a ball is definitely aided by the padding adidas has added to the synthetic. It also helps make taking the zip out of a pass with a little too much heat or bringing a ball out of the air a simple matter of technique. There aren’t any frills or elements for the PureSpeed to hide behind when addressing the ball, so it makes sure that the upper gets the job done. 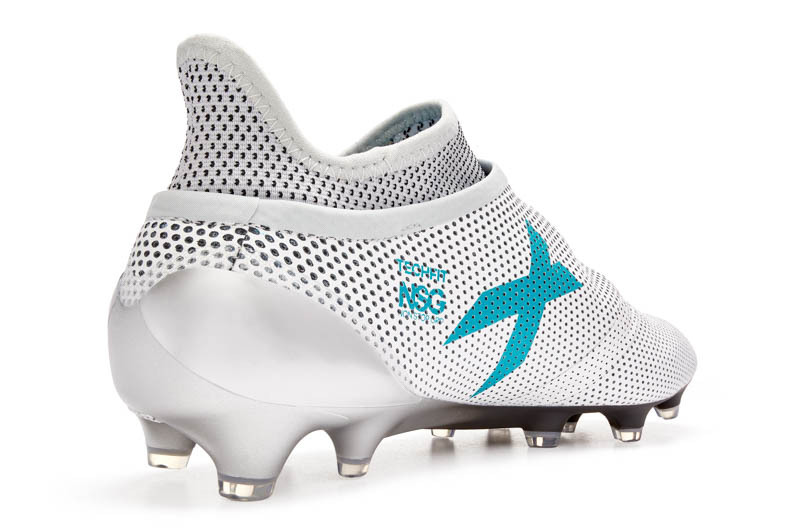 Two quick negatives for us on the X 17+ had to be that NSG (Non-Slip Grip) still seems like a gimmick, and the fact that the lace cover really doesn’t change how this boot plays. 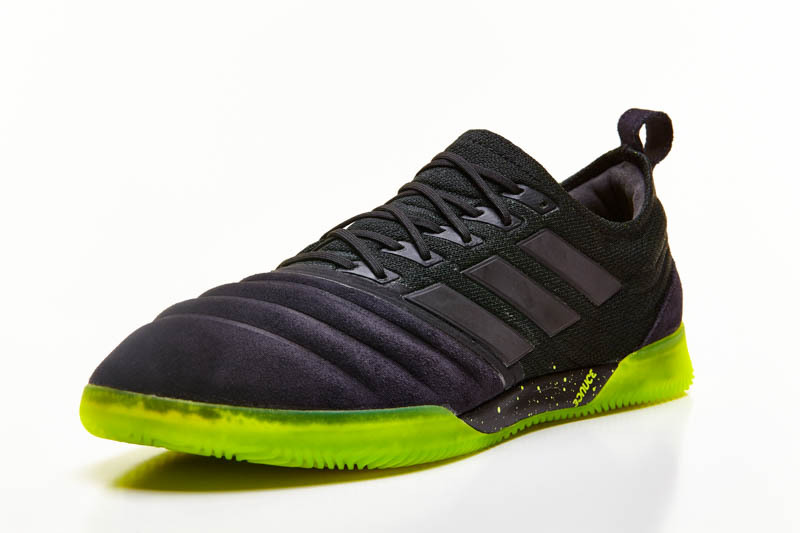 In fact, if the X 17.1 offered the same upper, it would be tough for me to justify the 17+ however, as the uppers are fairly different, adidas can get away with adding a lace cover to the PureSpeed. The soleplate on the X 17+ is the ever-dependable adidas SprintFrame. The studs you find underfoot are not completely conical, but with some small indentations on the studs to make them seem almost like a group of teardrops. It helps adidas maintain the AG/FG set-up that might still be the best thing to come out of their revolution, but it plays like a quality soleplate should – you forget to even think about it. A good soleplate is almost like a good referee, if you forget that they’re there, then they’re probably doing a fantastic job. The two spines running through the midfoot will be a bit stiff at the beginning, but it starts to show proper flex fairly early on. The world of boots is no longer judged by how a boot feels in days or weeks, but in minutes. If you can’t offer comfort out of the box, then some fans won’t even bother to pay the cost to get the box out the door. The X 17+ somehow straddles the fine line between offering a very snug fit with a high level of comfort. 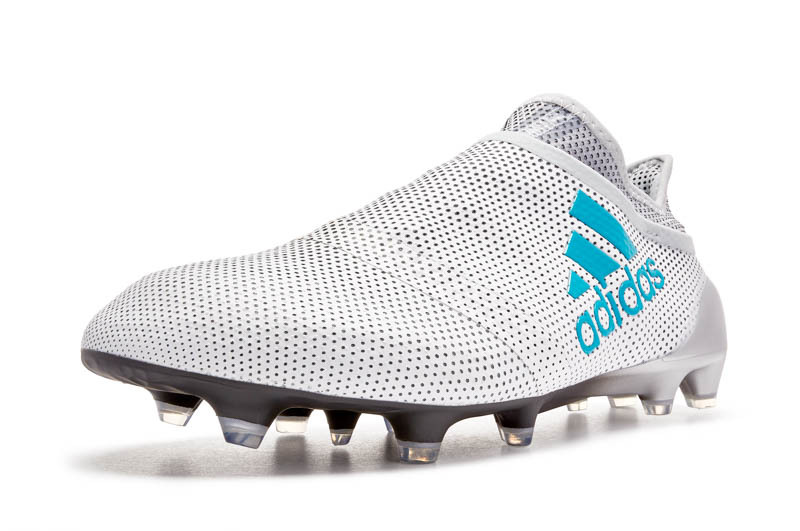 By utilizing the padding that adidas has placed in the forefoot of the boot, keeping a lacing system in place to make sure that the boot can offer some slight adjustments, and offering a last that doesn’t favor a foot type over another. The X 17+ is surprisingly comfortable, both out of the box and after several sessions. The upper will conform to your foot during wear, so the comfort only improves as time goes on. 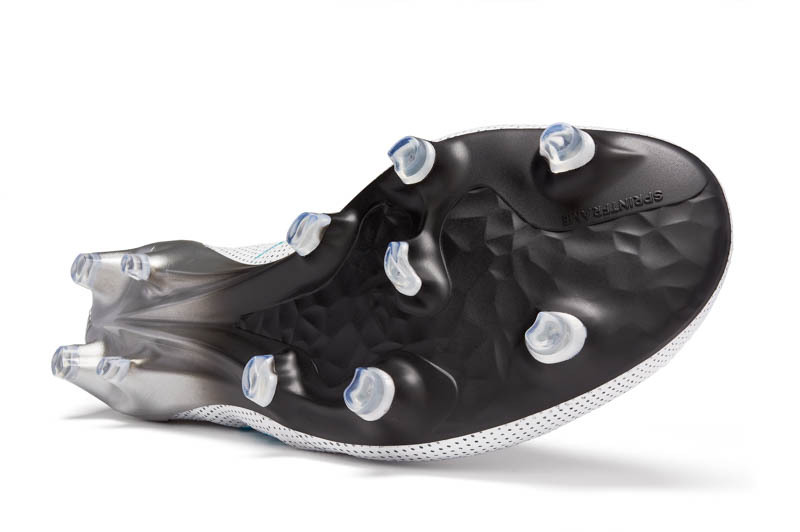 However, this isn’t a leather boot and it’s not wrapping your foot in a heavily padded synthetic and the name PureSpeed should let you know that adidas has crafted this beast to sit tight and keep you locked in during any type of movements that you make on the pitch. 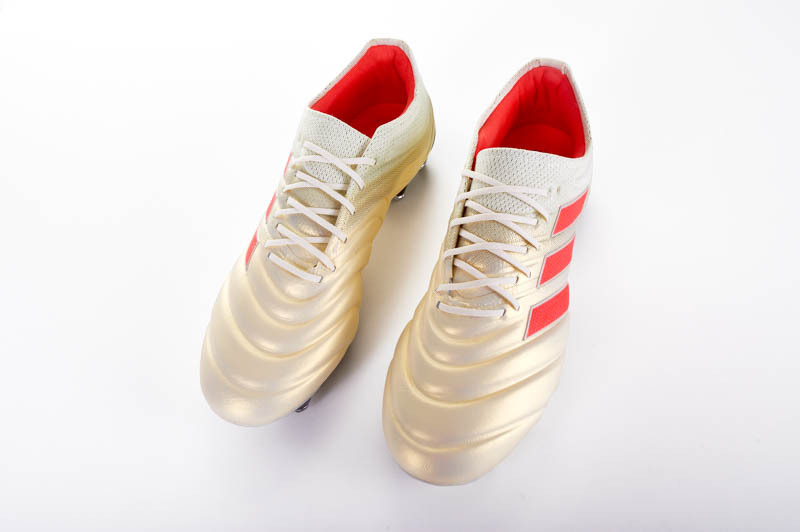 Adidas hasn’t left the boot stripped bare like boots giving the nod to speed in the past, so while it will be a tight fitting boot, it’s not an uncomfortable tightness that will have you massaging your feet after ten minutes. It’s a fit that lets you feel confident in the boot while you pull out every trick in your book. We will warn you that, despite the X 17+ being fairly accommodating to most foot types, very wide feet should look elsewhere. Also know that the area where the lace cover attaches to the boot might fit a bit tighter than the rest of the boot to start out, but it all fades into a uniform feeling after a wear or two. The top tier adidas boots are not going to show up on your doorstep on the cheap. However, the Pure + series from adidas is the best of what adidas has on offer, so you know that you’re getting a great boot if you’re willing to overlook the price tag. If adidas is your brand and you’re looking to go to the next step with your gear, you won’t find many better options than the top tier bots from adidas. While he was previously wearing the 16.1 version of the X, Luis Suarez has been seen enjoying the adidas 17+ PureSpeed in preseason. There’s at least one pair of X 17+ one every major pitch in Europe during fixtures. There does seem to be an ever revolving door between players that wear the 17+ and the 17.1, which is still a surprise to us as the quality dip is fairly significant between the two. The X 16+ was my favorite boot from adidas last year, so my expectations for the 17+ were very high. It seems like adidas was aware that they were onto a winner with the 16+, so they’ve actually changed very little with the newest iteration. I definitely enjoyed the 17+, but being a new version, I greedily expected more. The comfort is still there, the touch is still top notch, and it remains a crown jewel in the adidas crown. The only worry is that adidas got to this point because they stopped resting on their laurels and previous successes, so sitting so close to the X 16+ is an odd choice for a brand still banging the gong for revolution. However, none of that would stop me from recommending this boot to anyone looking for a top notch experience. 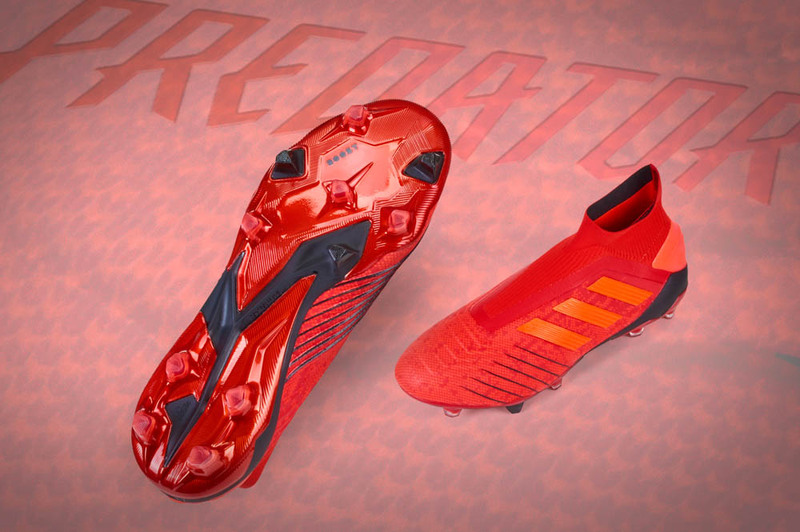 Slip into the PureSpeed, and launch into the sunset, these boots are A+!